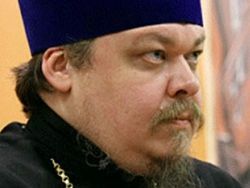 Orthodox believers have a duty to fight evil things, including the propaganda of homosexuality, but it should be done without the framework of law, Archpriest Vsevolod Chaplin, the head of the Synodal Department for Church and Society Relations, said. “People have a right to have their own moral stance. They have full rights to call homosexuality a sin and speak about the immorality of its propaganda, especially among minors. If we act within the law and ethical norms, people can and should express their opinion and their civil position,” the priest said in an interview with the newspaper Georgia and the World. “Any sin kills the human soul and destroys people’s life. This sin [homosexuality] is one of the gravest sins because it changes people’s mental state, makes the creation of a normal family impossible, and corrupts the younger generation. By the way, it is no accident that the propaganda of this sin is targeted at young people and sometimes at children. It deprives people of eternal bliss: the gospel is very clear in that,” Chaplin said.